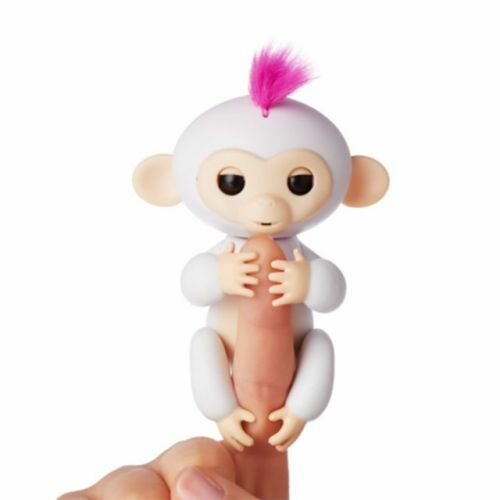 Finger Monkey love hanging onto your finger and know when they're being touched, talked to, and even hung upside down! These perfect primate pets come to life with over 50 animations to let you know how they feel. You'll fall in love with these sweet and sometimes silly critters with their realistic monkey sounds, adorable blinking eyes and head turns, plus hands that grip and a curly hanging tail. You can swing them, pet them, hug and kiss them, plus rock them to sleep! Finger Monkeys respond to sound, motion, and touch with blinking eyes, head turns, and silly monkey babble. Blow them kisses and they will kiss you back; Pet them to sleep or make a loud noise and watch them get excited. Collect them all and Gift to your Kids and Frieds.